After a couple weeks of a swollen tonsils and feeling lousy, I went to my doctor. I was put on amoxicillin without any real explanation. It didn't work. After another couple of weeks, I go to an Urgent Care facility and they give me an inhaler and Levaquin. I took Levaquin for a kidney infection 5 or 6 years ago with no apparent side effects. After my 5th dose of Levaquin, I woke up in extreme pain: Arms, legs, hands. The next day it worsened, and moved into the majority of my body. Here I am on my third day of pain, reading this information. This is terrifying. I'm not going to take my last 2 pills, but I worry about if/when this will stop. It's terrible. I worry about when it will stop too. See this thread as it will save me some typing: Levaquin Caused Knee Pain Aches Pains Insomnia and Lightheadedness. Levaquin did affect you years ago. No so much that you felt symptoms, but it depleted your body to some degree of Magnesium. Then this time, it -really- took your magnesium down, and you felt the Side Effects of Levaquin. my point is, Levaquin has affected your body in a variety of ways, such that, by default, you'll either be better within a year, or you WON'T be. 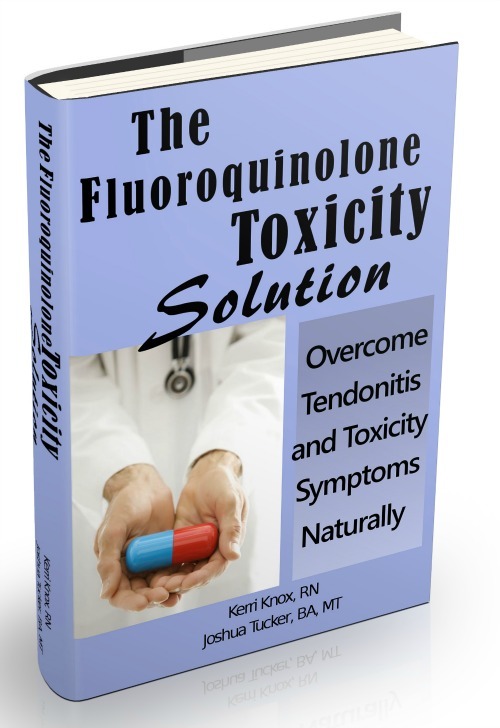 People have what is considered 'permanent' damage from fluoroquinolones like Cipro and Levofloxacin and Levaquin. But I believe that it's not that the damage is permanent, it's the the body is unable to heal the damage and get back to operating optimally because, for instance, it is SIGNIFICANTLY short of Magnesium. I think it is -very- wise that you opted to not take the last two pills. I believe that that would be a BAD idea. Some people have complete tendon rupture from just ONE dose. Who knows what two more doses might do to you. This isn't regular Tendonitis. This is much worse. In all fairness, it MAY or MAY NOT be much worse, it just all depends on your specific situation. I suggest that you go after it like it is much worse, do the right things to give your body the best chance to recover and heal itself. RestRest and Anti-inflammatory drugs like Ibuprofen etc might get you through the day, but won't help you actually to heal.